OK even if you are only a small fan of Star Trek you have to see this. As you can see this is just the coolest gadget out there. You can now own a lamp that has a turning space ship and of course not just a space ship but the Starship Enterprise and with the turning starship and the theme of the original Star Trek movies this just has to be the coolest item out there. 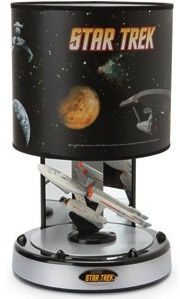 Check out all the details of this Star Trek Lamp. If you are a Star Trek fan then maybe this is the Shirt for you. 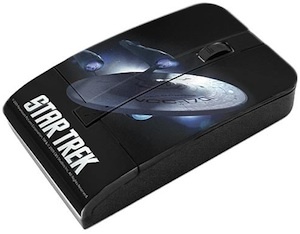 Now you can own a shirt that shows the Star ship Enterprise caught in a bottle.